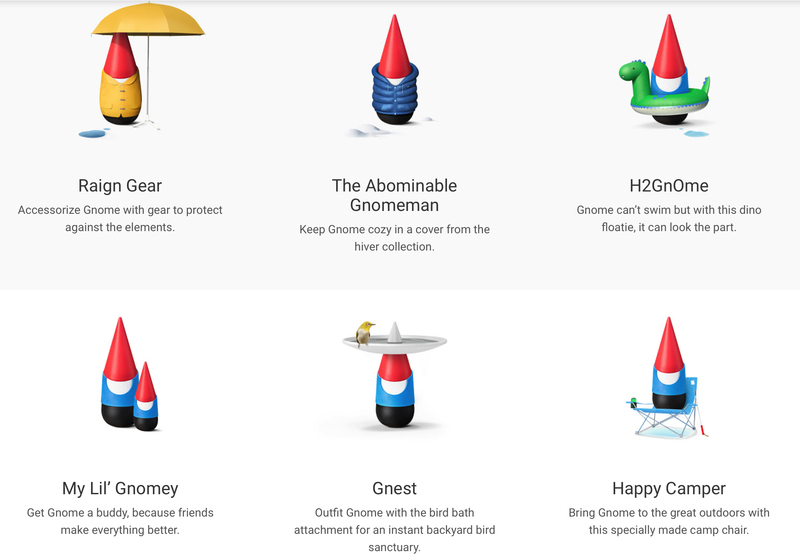 Google has launched Google Gnome, the outdoor companion to Google Home. It all started with smart thermostats, refrigerators, and light bulbs. Then Google Home came along and made your entire house smarter. But what about the backyard, the final frontier in smart homes? 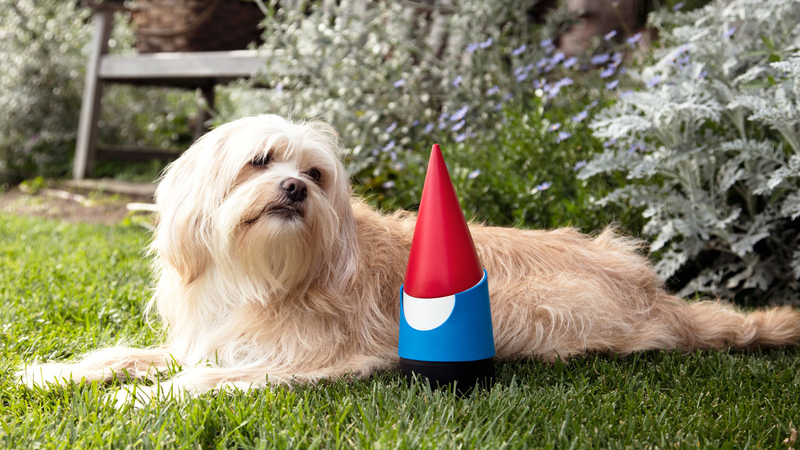 Two words: “Ok Gnome.” Google Gnome is a voice-activated, hands-free tool designed to make backyard living effortless. Need to know what animal is squeaking in your bushes? Stay still and ask Gnome what sound an opossum makes. Running low on birdseed? That’s where Gnome comes in. You can even use Gnome’s proprietary high-intensity lasers to trim your hedges into whatever shape your heart desires. The only thing that can fence in Google Gnome is the literal fence surrounding your yard. Google Gnome is like having a tiny, little meteorologist at your beck and call. Ask Gnome all kinds of questions, like: “what’s the difference between cirrocumulus and cumulonimbus clouds”, “why is humidity the worst”, and, for windswept hair in summertime photo shoots, “which way is the wind blowing”? Google Gnome is designed to work hard and play hard, with entertainment for humans and dogs alike. It can play music in the garden, Marco Polo in the pool, and hide and seek in the yard. It can even play fetch by throwing squeaks thither and hither via 3-D sound, offering hours of fun in the sun. 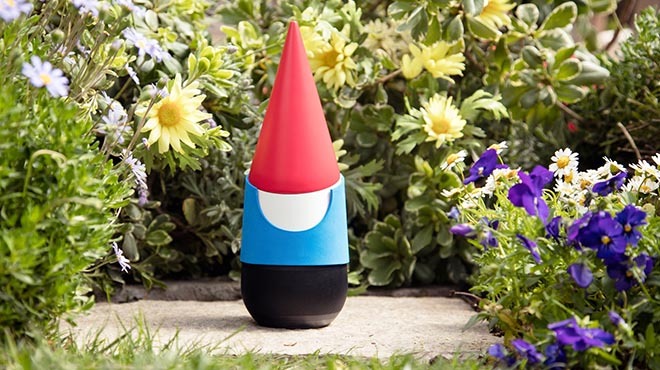 Google Gnome comes programmed with the ability to take charge of your backyard tools. Go hands-free with your pressure washer, leaf blower, tiller, and more. Its cutting edge riding lawnmower integration features a proprietary autopilot mode, allowing you to kick back and ride shotgun on days when you just can’t even. Google Gnome manages yard tasks like a pro. When mosquitoes start biting, it can add bug spray to your shopping list. It can tell you how to prune your silver maple. It can even remind you to take time for yourself, because what better way to disconnect than to have your connected device alert you to literally stop and smell the roses?